It’s been nearly 15 years since John and Peter left behind their corporate jobs on the East Coast for a fulltime life of travel, often in their RV. But the adventure on the road doesn’t stop for these two website designers when they travel abroad. To take care of their 43-foot motor home while it’s parked, these vagabonds have mastered the art of RV storage and offered tips for the rest of us. Since becoming full-time RVers, they’ve shared tips not only on RV storage but also on everything from inflating tires to replacing batteries on their RVGeeks YouTube channel. It’s worth a watch for sure! 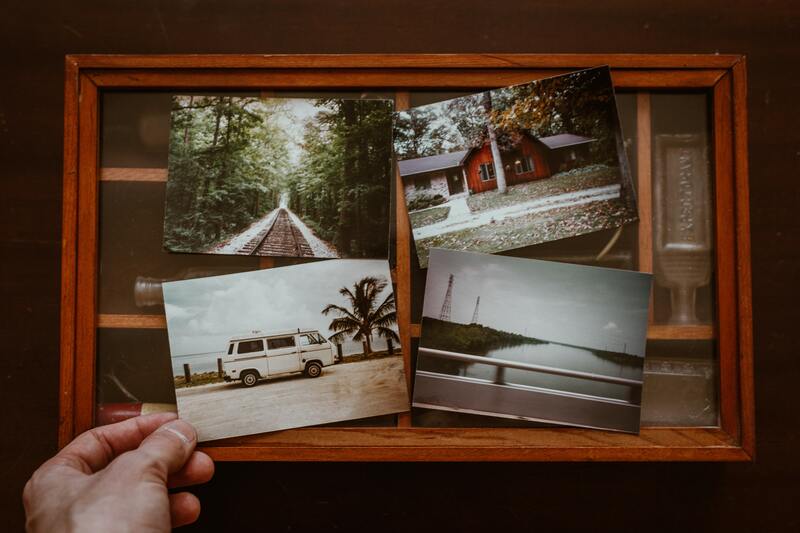 If your own travel plans are on a brief hiatus, keep reading for motor home storage tips from these RV Geeks to preserve your road trip ride! To avoid returning to your stored RV to face unwanted insect guests and festering smells, make sure to deep clean the inside of your motorhome before storage. Scrubbing the outside will also protect paint and fixtures from damage. “You want to get the grime off the outside and crumbs out of the inside,” said Peter. Make sure to unplug and clean out the fridge before propping open its doors to prevent mildew. To help capture odors, the RV Geeks dump about one-third of a box of baking soda down each of their rig’s drains before they leave it in storage. And don’t forget to drain water tanks if you plan to store an RV for an extended period of time. “Make sure to dump and clean your black (waste) tank,” said Peter. Before you store an RV, make sure your batteries are fully charged and use the battery disconnect switch to save power. This will help you save juice for when you want to return to the road, according to our experts. “If your RV is equipped with a generator system, make sure your auto generator start (module) is off, so it doesn’t come on in storage,” said Peter. You may need to take more drastic measures if you plan to store in freezing conditions. Also, make sure your fuel system is as full as possible, so additional moisture doesn’t build in the tank causing contamination that would cause a vacation roadblock. “Use a fuel stabilizer or algae prevention (for diesel) to protect your system,” said John. Don’t forget to cover your RV’s tires before storage to protect them from the sun. And an RV Geeks tried-and-true tire tip is to purchase thin, inexpensive plastic cutting boards and place them under each wheel, to protect them from the chemicals that can leech out of asphalt. “This helps the tire resist flattening out at the bottom, especially in cold weather,” added Peter. Vent covers come in handy during storage and on the road to keep out the elements. The RV Geeks learned the value of vents after a group uninvited guests found their way into their RV through the refrigerator vent. “Thirty bats came swarming out at me!” said John. Vents are not just great for keeping things out, they help release moisture and heat that can build up in a stored RV escape. “A roof vent cover will allow air flow, but won’t allow rain to get in – or a bat,” John added. Sunshine, while a beautiful and appreciated sight on the open road, can be an RV’s archenemy while in storage. But if you don’t plan on long-term storage, make sure to close curtains and use a windshield screen to protect your RV’s interior from fading or cracking. “Put up something that will block light from coming in the windows, to keep the heat from coming in,” added Peter. Check Out the Original Post @ Public Storage... For more tips on how to keep your RV top-notch, make sure to check out the RV Geeks! Common terms frequently used among RV enthusiasts provided with definitions. This guide will have you feeling like a pro in no time!! Usually found on motor homes. It’s a camera mounted on the back of the RV with a monitor by the driver seat. Gives you an extra eye while backing up your RV. Refers to the floor plan style of an RV having bunk beds. The battery in your motor home that operates 12 volt components of the drivetrain. Front of your motor home where the driver pilot seat and passenger co-pilot seats are located. Converts your 120 volt AC power to 12 volt DC power and also charges your 12 volt battery. Front Engine Diesel – When your diesel motor homes engine is located in the front. When your diesel motor home's engine is located in the rear of the RV. Provides power to your motor home. Type of fuel your motor home uses. Either Gas or Diesel. Gross Vehicle Weight Rating – The maximum weight your RV can be to ensure safe traveling. Includes the vehicles chassis, body, engine, fluids, fuel, accessories, passengers, cargo, etc. Usually found in Toy Haulers, this is a space above the garage or entrance door that includes. Liquid Petroleum – Another term for Propane. Additional area made for each floor plan that slides-out to provide you more living space. this is the actual weight pressing down on the hitch ball(located on the tow vehicle). Generally 10% – 15% of the GVW. Side to side measurement of your RV (doesn’t include slide outs). This is your RVs maximum weight limit for personal items you add into. Framework your RV is built on. In motor homes it generally includes the engine, transmission. When your diesel motor home engine is located in the rear of the RV. This is the total allowable weight on each individual axles which includes the weight of tires, wheels, brakes, and the axle itself. The amount of sleeping spaces in your RV. RVs come with different types of sleeping arrangements – regular sized bed, hide-a-bed in the sofa, collapsible booth dinette, drop down bunk. See Full Article from our friends @ www.generalrv.com/blog/rving-101-rv-terms-definitions/ . The web has made it easier than ever to learn about RVing, travel, and road tripping. Whether you’re getting started or have been hitting the road for decades, an old dog can always learn neat tricks. Blogs, videos, social media, and more give you a plethora of information on RVing at your fingertips. When it comes to learning, following other’s examples and seeing what they did to overcome obstacles can be more beneficial than you realize. 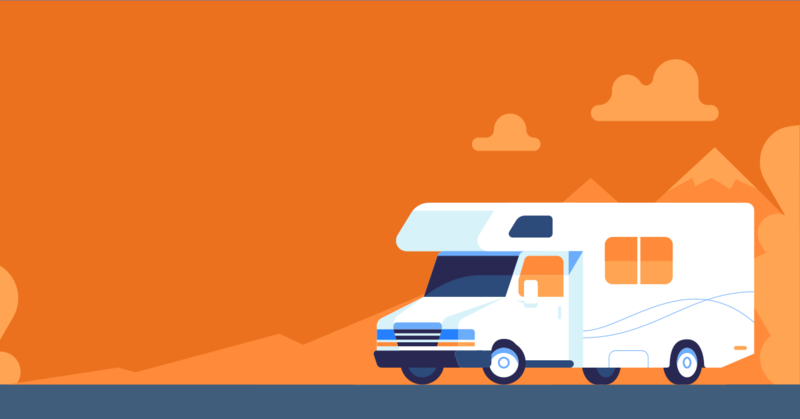 Here are five of the best RV blogs to follow and learn more about RVing, destinations, customizing your rig, and more. Ready to become an even better RVer? Let’s get started. The Love Your RV blog comes to us from a Canadian couple who sold their brick and mortar home, buy a 5th wheel RV, and go traveling across North America. I chose this blog due to a variety of content. The Love Your RV blog is full of travel reports, RV product reviews, tips, and tricks and plenty more. The author’s background as an electronic technician shows on the blog as he offers tons of significant modifications that can be used by the reader to improve their RV. With three years and 50,000 miles strong, this helpful blog is a great resource for many RVers. Everything About RVing is run by Al Wiener and provides about everything you'd ever want to know about RVing online. From articles on where to go RVing to how to fix up your ride, there's something for every level RVer here. If you want to get into the nitty-gritty of what RVing is and can be on and off the road, Everything About RVing is a must-read blog. Not finding what you need to know on the site? Alan takes questions, too! Consider submitting your question and see if it gets answered on the website and make sure to watch his Twitter feed because he’s sharing new articles, tips, and tricks on social media. The unique blog Technomadia is geared towards the younger X, Y, and Millennial generations that are rivaling the baby boomers on the road. The couple running the blog met on a Toyota Prius forum fell in love and have been on the road ever since in their converted bus. This blog focuses on current issues not addressed by many other full-time RVers such as sustainability, minimal impact travel, and the trials of tribulations of working in the tech sector while on the road. Technomadia's website the expert resource on staying connected to the web and technology no matter where they are, and they try to help other RVers out their posts on solar panels, lithium-ion batteries and have even authored The Mobile Internet Handbook. The Technomadia blog also provides several links to other younger generation full timer blogs. Wheeling It is brought to us by another couple that quit their monotonous jobs and hit the road full-time with their two cats and Great Dane in tow. This blog stands out because it addresses some of the many critical issues to full-time RV'ers that some travel blogs gloss over, such as getting health care, pet care, and working. The blog is also mixed with updated tips and tricks section, modification section and a dense section of travel stories browsed by individual states. The vast amounts of content are organized on this blog, making it a formidable resource for those looking for everything from recipes to information on finding a veterinarian. The Frugal RV Travel blog is a guide on how to save money while RV'ing, full time or not. The blog discusses boon docking in depth. Boon docking is the practice of RV camping without any utility hookups, often to save money by staying at free campsites. This blog also discusses budgets, purchasing an RV, doing repairs on the road and many other varieties of topics that concentrate on maximizing your dollar and adventure. The blog also includes links to buy extensive and detailed boon docking guides specializing in RV'ing destinations like California and Arizona. Here is a great resource guide on even more RV blogs to follow from RoverPass: Huge List of Top RV LifeStyle Blogs. When learning the ins and outs of RV'ing, or road tripping in general, relying on other’s expertise and experience is the way to go. The web makes it easier than ever to see what others are up to. Check out the above blogs for guidance before your next adventure and see how to get the most out of your trip no matter the destination. Self Storage Question? Please Call 719-633-4520. While moving your belongings from one location to another (Unit Size/Price), you’d be surprised at how quickly a long distance move can get out of hand. Hiring a full service moving company, means you’re already saving yourself a headache and the stress of making costly mistakes during a crucial part of your life. After a long couple weeks of packing up everything you own, the time has come to rent a moving van and you suddenly realize there’s a lot more going into the process than just the call to reserve one. Where do I get the van? How much will gas cost? What about extra insurance while I move? A moving company will simplify everything and provide you with an even custom quote that captures your entire cost of moving in one place. Next, you suddenly start to wonder how exactly you’re going to get your washer and dryer into the moving van on your own? Not only will the moving company take care of all the dirty work for you, they’ll also come in and build a plan based on your needs and their years of experience to make the move go as smoothly as they possibly can. The drive has been long and you’re unfamiliar with your new area? Navigating a ‘foreign’ place can be hard enough in a regular vehicle, let alone moving a truck full of your own belongings. A moving company will often specialize in specific areas of the country, which means they’ll know they’re way around a little better than you do and they can be sure that everything arrives intact and on time. Your truck is finally unloaded, you’re exhausted, your back hurts and all of your hair is officially pulled out! Bringing all the above benefits together comes to one simple truth: a good moving company is going to give you peace of mind. Hiring movers will allow you to focus on what only you can take care of while experts handle what they do best. In every way, the advantages of hiring a professional moving company outweigh the do-it-yourself approach. Causing less stress and frustration, hire professionals for your move today! If you’re demolishing walls, adding an addition, redecorating or even reconstructing a leaky roof, the last thing you need on your carpets, furniture, and appliances is an added layer of dust or building debris. When a home or office improvements are underway, a self-storage unit provides a safe temporary shelter for your valued, movable items. Once the work is complete, you have the option of removing your belongings from storage and restoring them to their original positions all at once or taking the opportunity to re-plan your interiors one item at a time. If everything doesn’t fit like you thought it would be it the new desk you bought or the boss chair, you can always keep a storage unit at a reasonable price until you are completely happy with your new space! Let’s face it, no one likes to move. In a complex property market, selling your existing home and moving to a new location isn’t always a straightforward process that can be accomplished in a day. Nor is just moving from one rental to another. 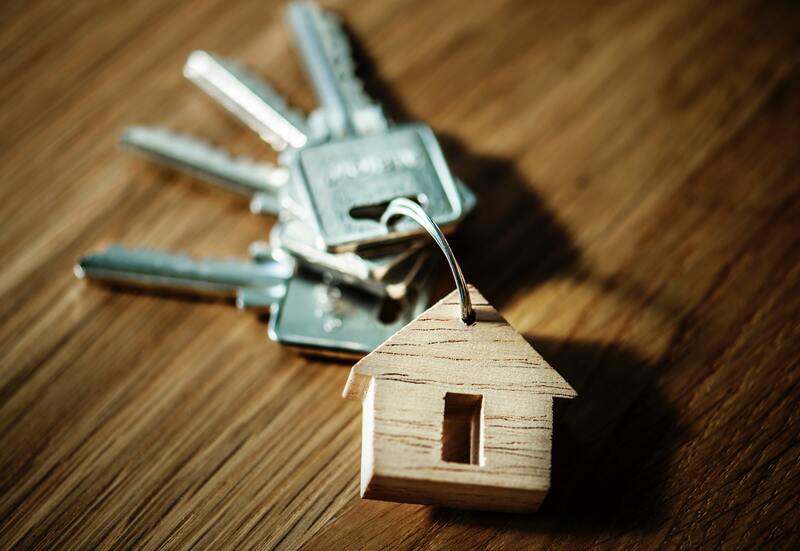 Timing doesn’t always work out, delays often occur, and without a fallback option you could be left in a real dilemma if your belongings need to go, but your new premises isn’t yet available. Self-storage provides a way station for holding your items until you’re ready and able to move them into their new home. Skip the stress and think comfortably. No need to get all flustered for no reason. Blossoming new relationships may be in a hurry to leave their existing accommodations and set up house together as quickly as possible. One minute away feels like forever! On the flip side when terminating a relationship, one partner or the other may desire (or even be legally required) to leave the common residence and find alternative accommodation. Either way, a self-storage unit provides a secure place for any valued personal items which can’t be relocated immediately. Individuals or organizations who use equipment or hardware on a seasonal basis (such as ski equipment, gardening tools, outdoor lawn furniture or camping gear) typically don’t want this stuff cluttering up their home throughout the year. Let’s leave the garage for the cars. Self-storage units allow seasonal or surplus items to be safely stowed away during the periods when they aren’t required for active service. The same holds true for vehicles which may not be called upon for extended periods. Though special terms may apply for the self-storage of certain classes of vehicle, a storage unit can provide shelter and protection from the environment. 5. You’re Trekking the World! Frequent travelers may need to acquire short-term accommodation incapable of holding all your belongings (e.g., holiday villas, residence for short-term work contracts). And shifting all your belongings each time you make a trip may simply be impractical. A self-storage unit solves these problems by providing the space and protection necessary for holding items that aren’t required on your travels. And rental contracts may be negotiated for whatever length of time is most convenient for the duration of your trip. And you can rest easy on the beach knowing your belongings are safe. 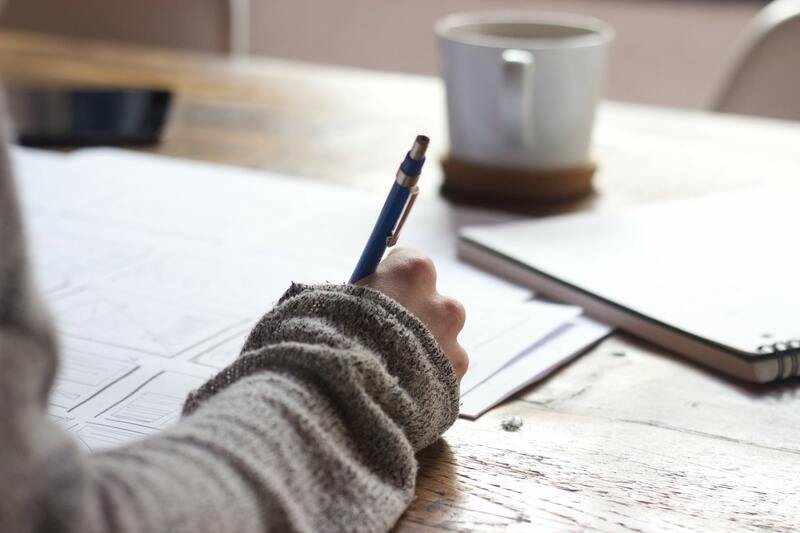 Both large business organizations and smaller entrepreneurs often have the need to store samples, inventory, business archives, and important documents relating to their work. With office and warehousing spaces taking a serious bite out of their annual budgets, renting larger premises may not be the best or most economical option. Self-storage units can provide temperature controlled facilities at a significantly lower cost than a full-blown property rental. Access to inventory and archives is typically available whenever the owner wants it, and the security controls offered by a reputable self-storage facility give business users the assurance that their valued assets will remain safe at-all-times. For anyone who’s running out of space for their belongings in their home or office, a self-storage unit provides a secure and economical option for accommodating the surplus. A self-storage unit is a sensible option for anyone who’s looking to decongest their existing living or workspace by shifting items they don’t need to access every day but don’t want to lose entirely. Self-storage units are available in a wide range of sizes, and rental contracts cover both brief and longer terms. Temperature Controlled units are available to accommodate virtually anything – within reason – that you might want to store. So next time you think to yourself “where am I going to put all this?” think of Maximum Storage RV & Self-Storage to help you solve your problems.